Richard is employed as a Senior Research Fellow with the Centre for Health Economics Research and Evaluation (CHERE) at UTS. He is currently working as the Project Manager for the Cancer Research Economics Support Team (CREST) and as the Senior Evaluator for CHERE's work evaluating submissions to the Pharmaceutical Benefits Advisory Committee. As well as a keen interest in the health economics of specialty areas such as oncology/haematology, and primary health care, Richard is also interested in patient preferences and quality of life assessment. Richard started as a health economist in the late '90s after commencing his career as an Economist with the Reserve Bank of Australia. Since then he has worked in research, the NSW Health Department, and the majority of the time in the field of market access and reimbursement for pharmaceuticals and medical devices in Australia with Novartis Pharmaceuticals and Covance respectively. 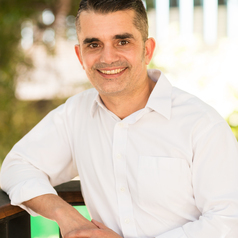 Richard was conferred with his PhD in Health Economics from UTS in March 2017, focusing on the role and valuation of meta-health effects (outcomes other than health) in health care decision making.